Medical Marijuana For Cancer Patients : Shots - Health News Side effects from cancer treatment lead many patients to ask their physicians about trying marijuana for relief. Even when the answer is yes, the details on what to do next can be sparse. 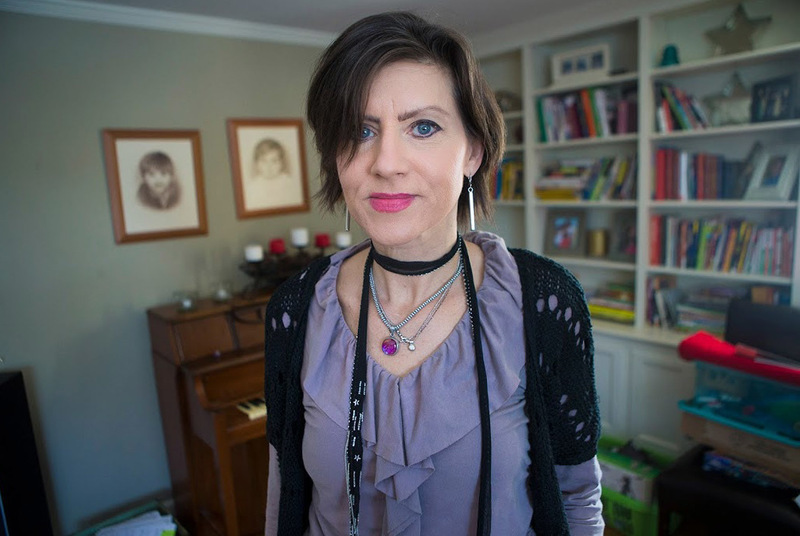 Kate Murphy felt frustrated by a lack of advice from doctors on how to use medical marijuana to mitigate side effects from her cancer treatment. In the early months of 2016, the Lexington, Mass., mother tried everything the doctors and nurses suggested. "But for the most part I felt nauseous 24/7," she said. Murphy, then 49 and fighting breast cancer, dropped 15 pounds from her already slim frame in just two months. Then, she remembered what a fellow cancer patient had advised while she was waiting for her first dose of chemo: "Make sure you get some medical marijuana." Scientific research, mostly in animals, supports the idea that cannabis can effectively treat the nausea of cancer therapy, in addition to some types of cancer-related pain, according to the National Cancer Institute's cannabis information page. And roughly a quarter of cancer patients use cannabis in Washington state, where both medical and recreational marijuana is legal, a study from September found. "I was flabbergasted that there was no real resource A, B and C, and 'here's how you do it,' " Murphy said. "What I liken it to is, 'you need chemo, now go figure it out.' "
Like most patients, Murphy's first step was to ask her oncologist. Murphy said she loved her doctor and care team at Mount Auburn Hospital in Cambridge, but they had no advice to offer on medical marijuana. "They said 'yes, you can look into it,' " she said. "But I felt sad because you're so lost and you're so sick and this is so not your area of expertise, that it was very upsetting to me to not get direction one way or the other." Only about 1 percent of Massachusetts' 25,000 doctors are registered with the state and allowed to legally prescribe marijuana. And only a fraction of those know much about cancer care. Last June, the Massachusetts Medical Society approved a new online curriculum for medical marijuana. Six months later, only 27 medical professionals have taken the section on cancer care and cannabis. Both the Dana-Farber Cancer Institute and the Massachusetts General Hospital Cancer Center said they had no experts on staff to speak with us for this report. Murphy eventually found her way to Dr. Jordan Tishler, who runs medical cannabis clinics in Cambridge and Brookline, called inhaleMD. "By and large, physicians are simply saying, 'yes, you can have it,' and then stopping the conversation there," he said. "Most of those institutions are prohibited and/or afraid of the prohibitions from the federal government, so have opted not to pursue this within their domain," Tischler said. He set up his private clinic so he could operate outside of those systems, though he said he receives referrals from all the major hospitals. In early January, Attorney General Jeff Sessions told the nation's U.S. attorneys to resume aggressively pursuing marijuana growers and distributors, even in states where marijuana has been legalized. It's not clear yet what that will mean for Massachusetts' medical marijuana system, but a few days later, Massachusetts U.S. Attorney Andrew Lelling said he cannot and will not rule out prosecuting state-sanctioned marijuana businesses. As it currently stands, authorized doctors like Tishler have to fill out an online form with the state, which the patient then submits with a $50 check to request a license. Tishler said the process used to take several weeks, but now the state usually issues a medical card within three or four days of receiving a request. Then, the patient has to take that license to one of the state-approved medical marijuana dispensaries, which offer a wide array of products containing cannabis. New England Treatment Access in Brookline, Mass., is located in a former branch of Brookline Bank. 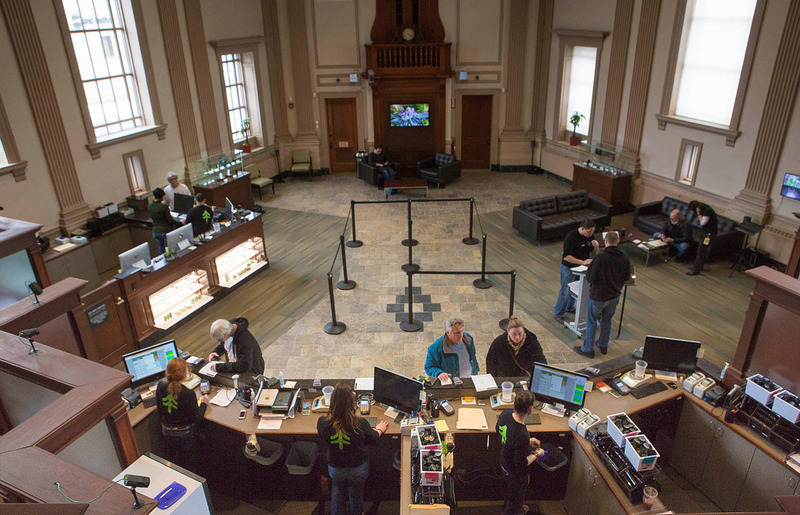 New England Treatment Access, or NETA, whose Brookline dispensary is housed in an old bank building, sells 130 products. Garden Remedies, whose dispensary is in Newton about a block from a Whole Foods, sells 50 items, including bath bombs, lip balm and marijuana-infused honey they make themselves in their cultivation facility. Murphy said she would have been overwhelmed by those choices if she hadn't had a doctor like Tishler advising her on what to take. Tishler said he tells cancer patients, for example, that they should avoid using novelty items like bath bombs and creams. They may be fun, but they won't help with nausea or pain, he says. Murphy didn't like the idea of edibles. She had young children at home and was anxious they might find a brownie too tempting to pass up. Tishler warned his patients against getting advice on care either from the Internet — which he said is loaded with misinformation — or from the counter folks at the dispensaries, who are trained in their products but are not legally allowed to give out medical advice. "They're doing the best they can, but fundamentally, they're salespeople," he said. "Their level of training, I often say, is about the level of a Starbucks barista. So, I tell patients, 'look, if you wouldn't ask your coffee guy about your health, probably you shouldn't ask these guys, either.' "
Dr. Karen Munkacy, president and CEO of Garden Remedies, said her staff generally recommends that someone with nausea use a vape pen, to get a quick effect from the cannabis, and then, if they need something longer-lasting, take an edible. "Inhalation medical marijuana works within a few minutes, and so, now their nausea and vomiting is under control," she said. "If they want to get a good night's sleep they're going to need to get something that they ingest because it's going to last longer. They won't wake up vomiting in the middle of the night." Munkacy started her company after her own bout with chemo-induced nausea. 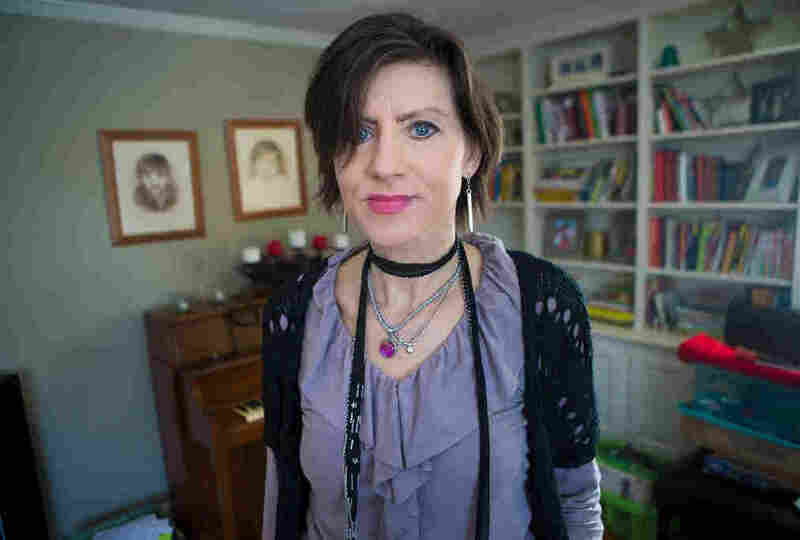 She was treated for breast cancer a decade ago in New Jersey, where medical marijuana was illegal. "It was months of feeling a thousand times worse than any flu I've ever had," said Munkacy, who at the time was an anesthesiologist with a 2-year-old son. "Before [medical cannabis] became legal, people would have to choose between breaking the law and suffering terribly." Convinced that medical marijuana could help other people avoid her misery, Munkacy worked to help get legalized medical marijuana on the ballot in Massachusetts in 2012, and said she is now committed to educating patients who come to her dispensary. "Our goal is that when patients leave, they've learned everything they need to know," she said. Cannabis is generally very safe, Tishler said, as long as patients buy their medical marijuana from a dispensary, because state requirements ensure a safe, consistent product. There is no lethal dose, and the worst side effect for most of his patients, he said, is an unwanted feeling of getting high when they've taken too much. Norton Arbelaez, director of government affairs for NETA, which also has a dispensary in Northampton, said that safety profile means patients can afford to be a little imprecise about what kind of marijuana they use and how much they get. "There is some room here for the patient themselves to experiment and see what's right for them," he said. In the end, that's what Murphy did. She experimented. She tried a few joints and smoked a few times with a pipe. She had already spent $700 paying Dr. Tishler, getting her $50 state license and buying the cannabis, so she didn't want to invest more in the vaporizer Dr. Tishler recommended. But even just those few weeks of occasional smoking made a big difference, Murphy said. "It made me feel like I had an appetite for the first time in probably six months," she said. "Instead of lying around thinking about how sick I felt all the time — which was not my personality, which was very upsetting to my whole family — I was up and cooking, which was not anything I had done since I hadn't felt well." Murphy, who is now cancer-free, hasn't smoked since her treatments ended in the summer of 2016. She still wishes patients didn't have to work so hard to get the information they need about medical marijuana. The situation for children and teens with cancer is a little different than for adults, according to Prasanna Ananth, a pediatric oncologist at Yale Cancer Center. Ananth published a study in early December showing that an overwhelming majority of pediatric oncologists, nurses and other health care professionals in Massachusetts, Illinois and Washington state were willing to consider medical marijuana for children with cancer — particularly for those with advanced illness. There are decades of research showing the potential dangers of marijuana for children and teenagers, but almost none into its possible benefits for young cancer patients, she said. "Our calculus shifts when we're talking about children facing serious, life-threatening illness," Ananth said. "Health care providers must weigh their desire to provide compassionate care for their patients against limited scientific evidence to support use of medical marijuana by children." In her survey, nearly 1 in 3 pediatric oncology experts said they had been asked about medical marijuana by at least one patient. Ananth said she would prefer to talk with her patients about their marijuana use than not know that they're using it. "Especially for the purpose of knowing what my patients are on and what the medical marijuana might interact with, it is important for us to maintain open lines of communication," she said. It's not clear how Massachusetts' medical marijuana system will change later this year when recreational marijuana sales are set to begin. Patients will pay 20 percent less than recreational users because they won't have to pay taxes on their cannabis. But Munkacy said she believes many more people will start using cannabis for their medical problems once recreational use becomes legal. They may not have wanted to give their name to the state for a license, but the reduced restrictions and added legitimacy of legal marijuana will give them the push they need to start using it, Munkacy explained. "I'm thinking there's going to be a lot of people who will no longer have to buy their medicine on the black market." The first version of this story appeared on WBUR's CommonHealth. Karen Weintraub spent 20 years in newsrooms before becoming a freelance writer in January 2010. She contributes to CommonHealth.